Comprehensive service plans protect your equipment from anything that might go wrong. 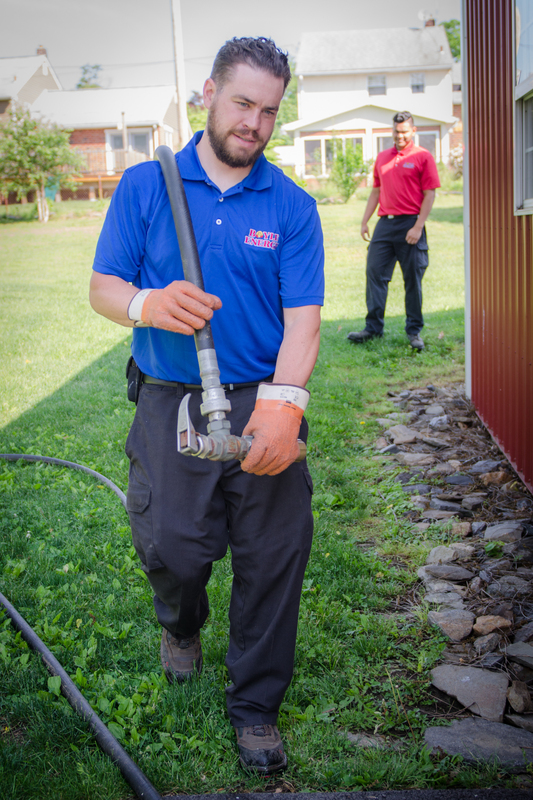 Not only do they include tune-ups, but they also protect common parts that fail, giving you the peace of mind that Boyle Energy has you covered. Take a look through our comprehensive service plan guide. The title may be a little confusing, but this is where all of our service plans for oil fired equipment are. Our prices are not in the brochure, but are included below the first picture. If you have any questions, give us a call. Plan 1 (Oil Burner Tune-up Plan) is not a comprehensive service plan, but a one time tune-up for your oil heater. Boyle Energy highly recommends regular tune-ups every year or so. 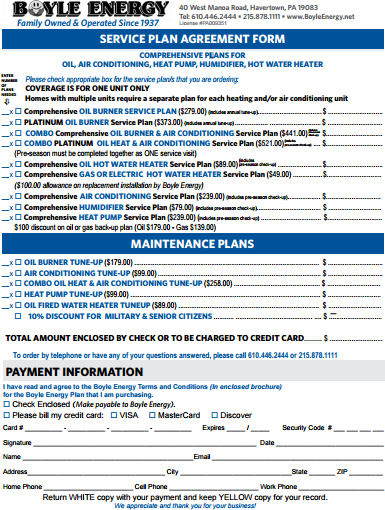 Plan 2 (Comprehensive Oil Burner Service Plan) covers everything listed under that column AND the tune-up plan (plan 1). Note that you will need automatic delivery to be eligible for this plan! Plan 3 (Platinum Oil Burner Service Plan) covers everything listed under that column AND both previous plans (Plans 1 & 2). Note that you will need automatic delivery to be eligible for this plan! Plan 4 (Oil Fired Hot Water Heater Service Plan) covers everything listed under that column AND the tune-up plan (plan 1). Plan 5 (Comprehensive Gas or Electric Hot Water Heater Service Plan) covers everything under that column only. Plans 6, 7, and 8 are for air conditioners and humidifiers, and you can read more about these in our HVAC section.